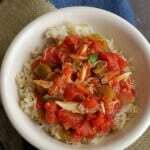 This Quick and Easy Seafood Creole is perfect for a busy weeknight. Full of flavor, fresh ingredients and seafood of your choice, it’s freezer friendly too! I have wanted to share this Quick and Easy Seafood Creole recipe with you all for a while now but every time I make it, it seems to be eaten up so quickly that I can’t get a photograph of it! My mom used to make this recipe when I was growing up and it’s something I’ve made off and on myself for over two decades. My family loves it and I am always amazed at how quickly it comes together. 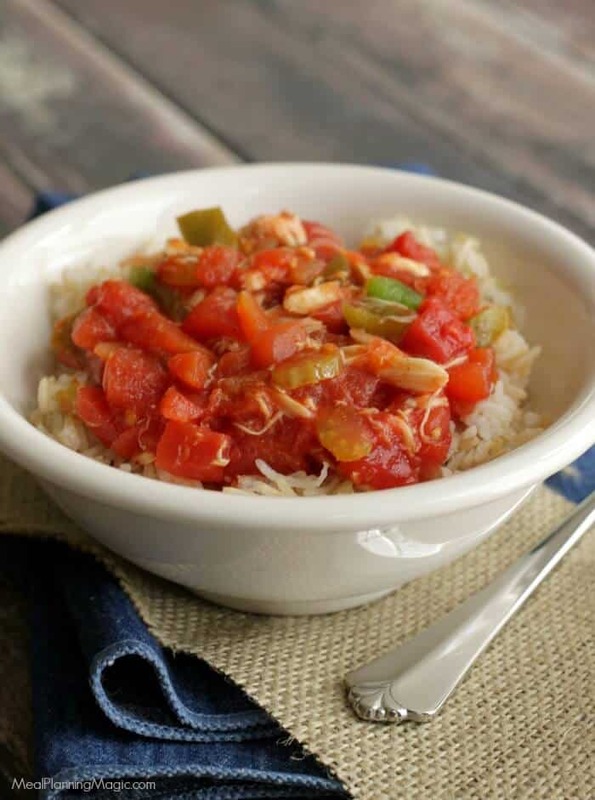 With Fat Tuesday just around the corner, this Seafood Creole would be a great addition to your menu for a traditional creole dish. It’s not too spicy but still full of flavor! I also love how many fresh ingredients it includes. 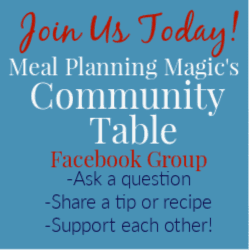 You can include several different types of seafood—I have made it with shrimp (usually the cocktail or small shrimp variety), crawfish (we love them when they are in season in the spring in our part of the country!) or crab. This last time I used leftover crab I had from when I made the Cheesy Crab Canapes. I’ve never tried a combination of different seafood but I bet that would be good too! I find we like to serve it over basmati rice which makes up a little fluffier than a traditional converted white rice. This last time I used a 50/50 blend (that I just mixed up myself) of white and brown basmati rice. It was the perfect texture of fluffiness and I like that it had a little bit of extra nutrition with the brown rice. 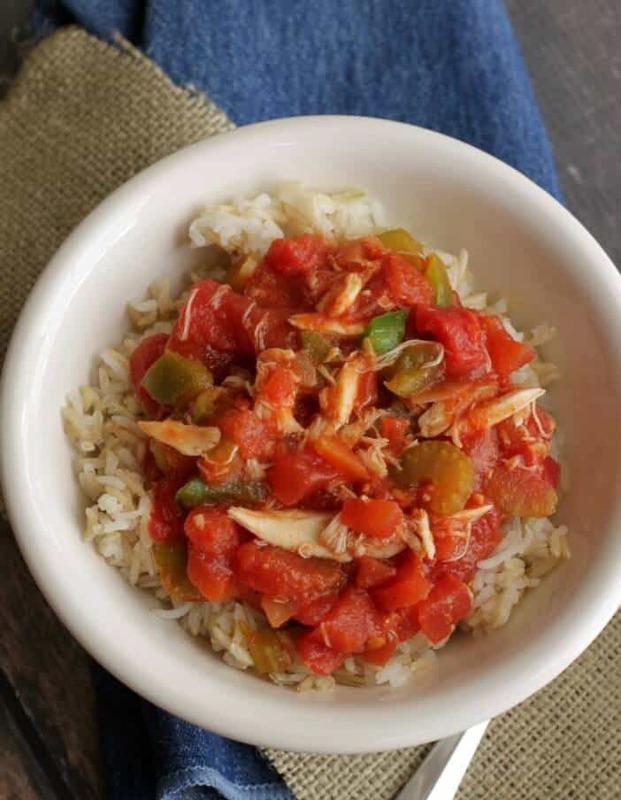 Quick and Easy Seafood Creole - Freezer Friendly Too! In large saucepan, heat oil over medium heat. Add onion, celery and garlic and saute until softened, about 5 minutes. Add tomatoes, tomato sauce, sugar, Worcestershire sauce, chili powder, chili sauce, salt and cornstarch. Simmer about 15 minutes until sauce is slightly thickened. Add green pepper and cooked seafood. Heat about 5 minutes or until seafood is warmed through. Remove from heat. One other great thing about this recipe is that it can be made ahead and frozen so that all you need to do is heat and serve. Sometimes I will double the batch I’m making so I can do this. If space is a concern, just make the sauce and make a note on your freezer storage container to add the seafood at the end, just before serving. Serve this with a side salad and you’ve got a super easy and quick meal for any busy weeknight—or just because! I hope you’ll give it a try!